A new appetite suppressant developed from concepts relating to the Atkins and Dukan diets could be the latest step in tackling obesity, scientists claim. The amino acid Phenylalanine, found in dietary proteins, releases hormones in the digestive system that regulate feelings of hunger. Scientists investigating the effects of Phenylalanine have given a dosage to mice and studied their eating habits and brain activity as part of the study at Imperial College London. Conclusions drawn suggest that rodents' appetites are significantly reduced, even when the amino acid dose is 10 times lower than that of a high protein diet. Lead researcher Mariana Norton said: "Understanding how food is detected in the gut may help to identify ways of treating or preventing obesity. The next step is to establish whether phenylalanine can drive similar appetite-reducing effects in humans." As well as suppressing hunger pangs through hormones released in the gut, scientists have also found that Phenylalanine increases activation of an area of the brain associated with appetite regulation. The research has used the principles of protein-based diets - those often favoured by celebrities - in developing the study. Ms Norton added: "Identifying the mechanisms that sense the protein may allow us to use drugs or functional foods to hijack appetite regulation, and treat obesity." However, she highlights that while these types of diets encourage weight loss, they can be challenging and results can be difficult to maintain. Diets associated with high protein intake such as Atkins and Dukan, are often renounced by leading scientists as the results can be short-lived and they may also result in long-term health problems, according to reports. Atkins, a low carbohydrate-based diet, is often associated with an increase in dietary fats, which can lead to heart disease and other health conditions. The Dukan Diet is slightly different, promoting a high protein, low fat, low carb intake. However, the rapid weight loss associated with the diet can sometimes cause gall bladder inflammation and gallstones. 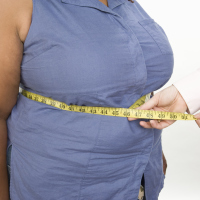 As well as causing obvious physical changes, obesity can lead to a number of serious and potentially life-threatening conditions, such as type 2 diabetes, coronary heart disease and some types of cancer - including breast cancer and bowel cancer. It can also cause strokes. Anyone with a condition related to their weight, or pre-existing medical problem, can enjoy overseas holidays and trips abroad by taking out medical travel insurance.